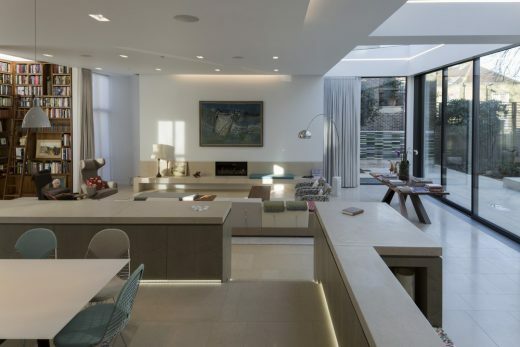 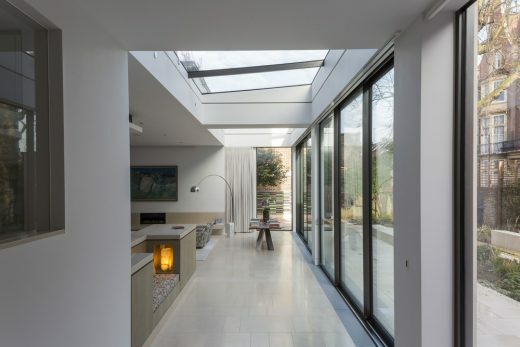 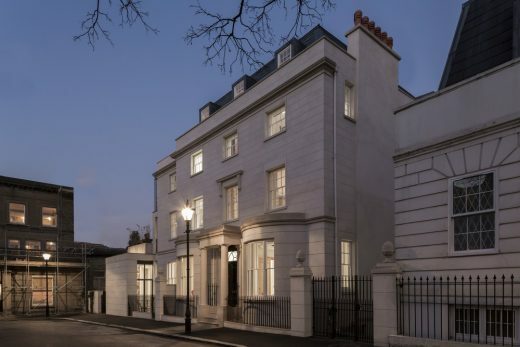 London-based Pi/brow & Partners has completed the restoration and remodelling of a private family house on Orme Square in Bayswater, West London, reinforcing the aesthetic qualities of the original 1826 villa. 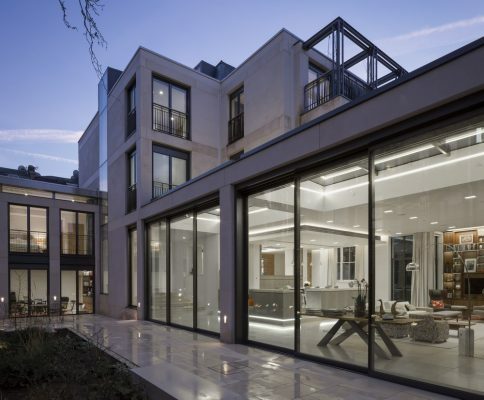 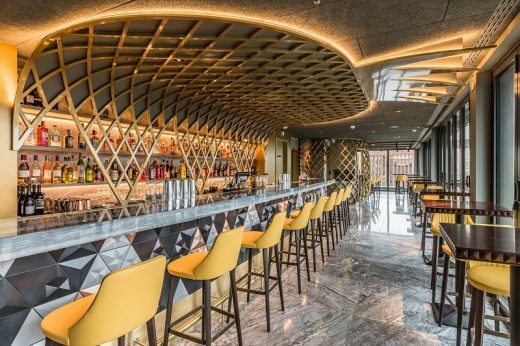 The project is one of the first to be completed by the practice since its inception in 2013. 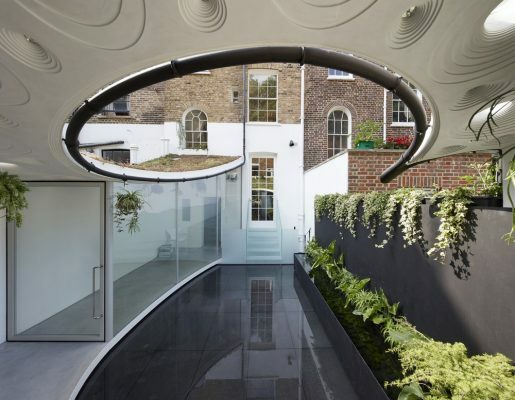 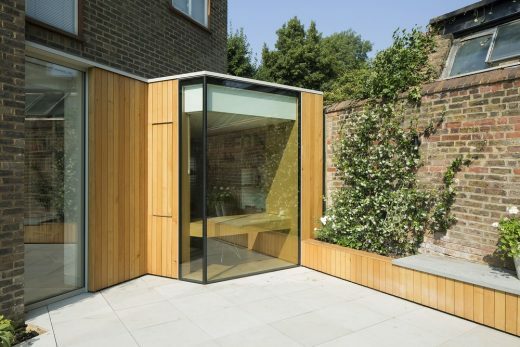 The Grade II listed property had been poorly served by a Victorian extension. 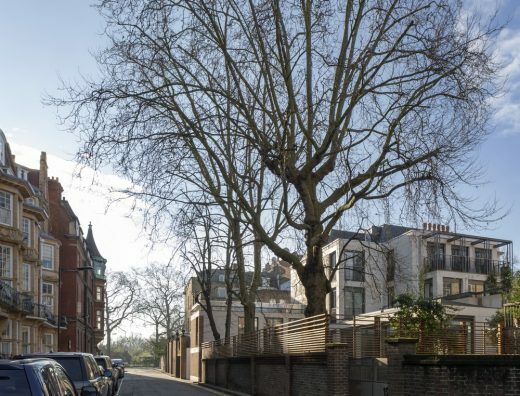 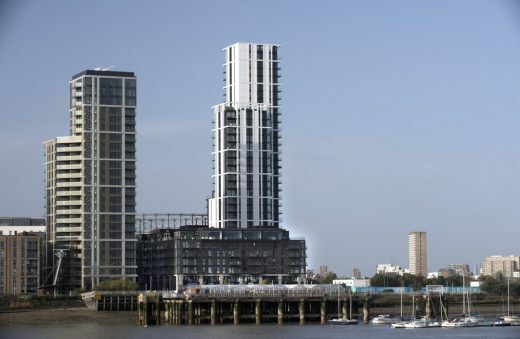 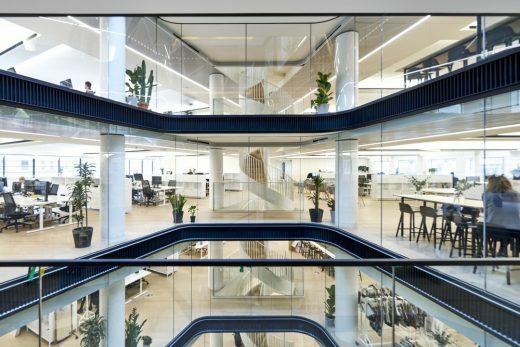 Pilbrow & Partners approached the remodelling of the structure by deconstructing the additions to reveal the original order of the plan. 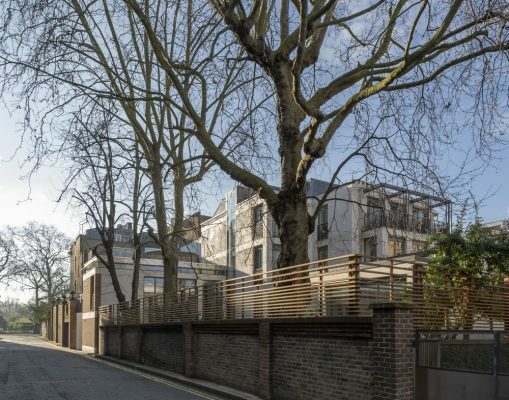 Pilbrow & Partners’ scheme creates a four-storey L-shaped home arranged around a garden courtyard. 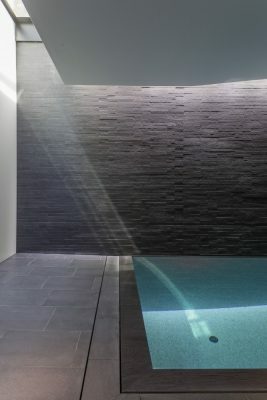 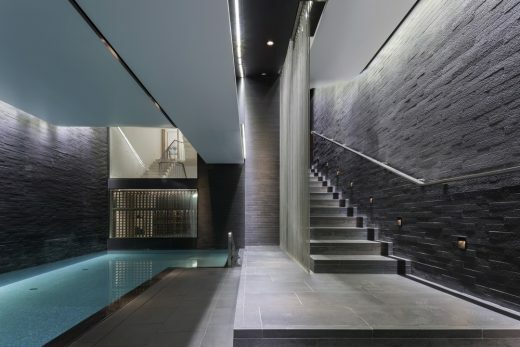 Contemporary amenities including a gym, a projection room, a swimming pool and a spa are created within an additional level below ground. 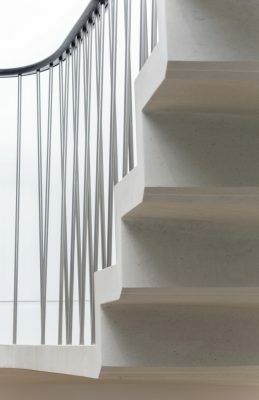 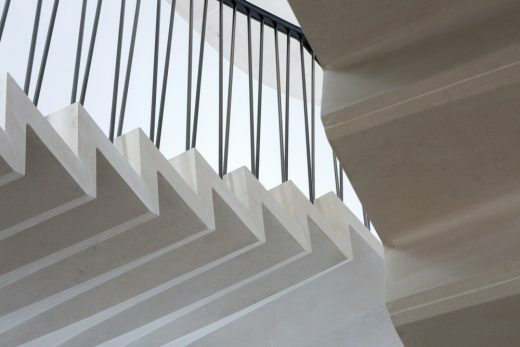 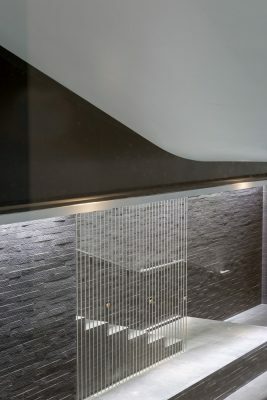 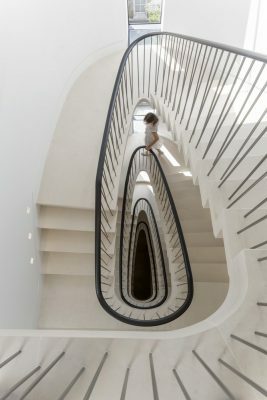 A new helical, cantilevered limestone staircase is woven through the interior core of the villa. 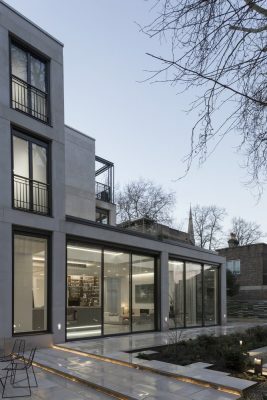 The exterior of the new building contrasts a fine scale stone framework against the taut planer qualities of the stuccoed Regency villa. 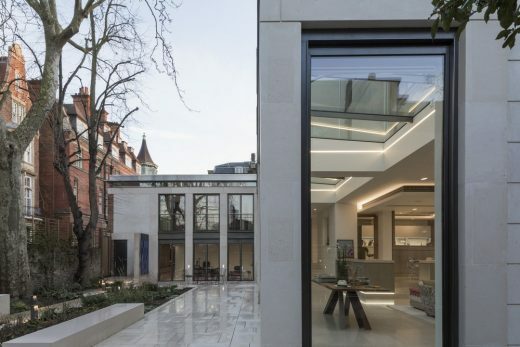 This stone framework is developed on the garden elevation as a base for the open pergola which serves to extend the lush landscape of the garden onto the upper level terraces. 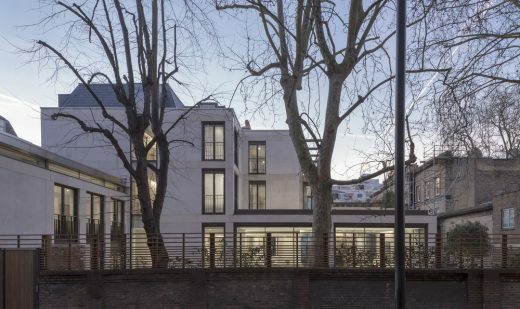 A mansard roof addition underscores the primacy of the villa at the centre of the composition.